Offline for a Little While! Get a Free Issue of Home School Digest! In the calendar, we are all taught that Jesus Christ died on Friday. Yet, that goes against the Word of God in the Bible. That makes the Bible seem false and make Jesus wrong. As we know, the Word is infallible and Jesus fulfilled ALL that he said he would do. If we do the math, Jesus dying on a Friday afternoon and rising at the crack of dawn on Sunday would NOT be three days and three nights. It only adds up to one day and two nights (Fri PM, Sat AM, PM) It is far less than 72 hours! Therefore, Jesus did NOT die on a Friday. Also, he died during an annual Sabbath observance that wasn't just a Saturday like every week, but the Passover which was several days long. 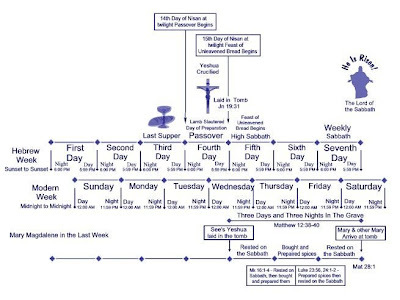 The Jewish calendar and timeline is somewhat different than ours. Their days start at sunset, not at midnight like ours. They follow the Sun and the Moon to set the days. Here is a timeline for further information and several links that would be helpful and full of information if you wanted to research further! I found a passage that was of great encouragement to me. I had to share it with all of you. It is from Psalm 37, verses 9-13. "For evildoers shall be cut off: but those that wait upon the LORD, they shall inherit the earth. For yet a little while, and the wicked shall not be: yea, thou shalt diligently consider his place, and it shall not be.But the meek shall inherit the earth; and shall delight themselves in the abundance of peace. The LORD shall laugh at him: for he seeth that his day is coming"
Be encouraged! It is us who has the victory! 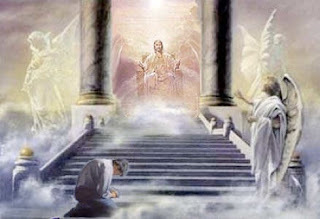 Wait on the Lord, it will just be a little while and we will inherit God's kingdom! Let the wicked plot away, but God is laughing at them! How marvelous that God LAUGHS! If he can laugh, then so can we! Be of good cheer! 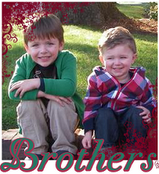 Come and get a FREE issue of Home School Digest and support Gleaning the Harvest! Here is the post from Jacque Dixon's blog! I received an email from Mr. Israel Wayne through the Gleaning the Harvest emails offering me the opportunity to raise some advertising money for an ad for Gleaning the Harvest in the home schooling magazine, Home School Digest. The awesome thing is that that is not all it is. It is a FREE Sample Issue for all of my friends too. I ordered my FREE sample issue today, and I wanted to let you know you could too. The emphasis of Home School Digest is on Family Discipleship, Character Building and Developing A Biblical Worldview. HSD is also the nation’s longest-running Christian homeschooling magazine. By using this link and Promo code, you will receive a free sample issue of the magazine, and Gleaning the Harvest will receive $1 in magazine advertising credit. You are welcome to spread the word about this also via your blogs and websites, in email, on Yahoo groups, in church bulletins and other support groups and meetings. Thank you, and I hope you get your free sample issue and thanks for supporting GTH! In light of the recent April Fool's Day, I wanted to bring some insights about this holiday. It seems like a silly holiday where people can act like complete fools of themselves, yet is that Biblical? The Bible rebukes foolishness and calls us to be wise. Being a fool is a sin and is wicked in the eyes of God. We should not partake of this holiday and celebrate foolishness. Amanda Dixon at SuperAngel's Blog wrote an in depth explanation of April Fool's Day. I encourage all those who are interested in learning more about this holiday to visit her website. CLICK HERE for the article! And here is an eye-opening quiz that helps us see whether we are acting in the ways of a fool, or striving for wisdom in how we live, act and speak to those around us. I hope you take a few minutes to complete this quiz!